A Research Award from the Department of Energy entitled, “Solar Energy / Energy Storage Discharge Models and Analysis of Regional Electricity Utility Usage Based on Interval Data” was awarded to the SDSU Industrial Assessment Center (IAC) directed by Prof. Asfaw Beyene with assistance from Prof. Joaquin Camacho. The award includes $25K as a supplement to existing energy efficiency activities of the IAC. 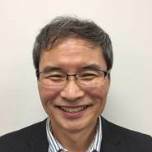 December 21, 2018: The article titled "Analytical and Experimental Predictor-Based Time Delay Control of a High-DOF Robot Manipulator" was featured in the Winter 2018 edition of the ASME DSCD Newsletter. The analysis-experiment was carried out in Dr. Naseradinmousavi's Dynamic Systems and Control Laboratory (DSCL). December 11, 2018: Our ME Fall 2018 Senior Design Day took place on December 11, 2018 at Montezuma Hall in the Conrad Prebys Aztec Student Union. 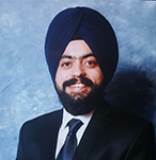 September 12, 2018: Dr. Bhalla and his team developed a new approach to simulate how fluid swirls around a fish or any other solid object, while he was a postdoctoral scholar at Lawerence Berkeley National Laboratory. Dr. Bhalla, who joined the ME Department this fall, followed fish movements to build energy-efficiency algorithms, that can be used to study more complex flows in many applications, including renewable-energy devices. 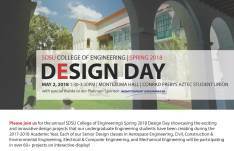 May 2, 2018: The Spring 2018 Engineering Senior Design Day took place on May 2, 2018 at Montezuma Hall in the Conrad Prebys Aztec Student Union. Over 90 senior design projects were displayed. 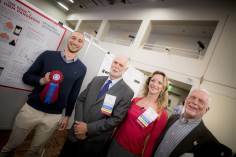 April 24, 2018: Luca Carmignani was awarded the M. Lea Rudee Outstanding Poster Award as well as the Katie Osterday Best Poster Award for the Department of Mechanical and Aerospace Engineering at the 2018 Research Expo, an annual opportunity for alumni, industry partners and faculty to connect, collaborate and recruit graduate students. April 6, 2018: Dr. Eugene Olevsky, Associate Dean for Research and Graduate Studies in the College of Engineering, has been appointed to Interim Dean of the College of Engineering. The search for the next Dean of the College of Engineering will begin in Fall 2018. March 19, 2018: Dr. Youssef received a $18,354 grant from NASA to conduct research on rim driven impeller pumps for space application and a $26,697 grant from Amorcast Products Company to conduct research on the characterization of creep behavior of E-glass/Epoxy composite panels. March 17, 2018: Explore SDSU is a free, all-campus event featuring an information fair, academic program information sessions, tours and open houses. Various ME faculty and student organizations showcased their labs and projects. 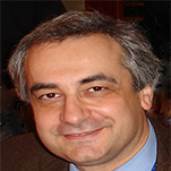 March 12, 2018: Dr. Youssef has been appointed as a Summer Fellow to NSWC-Carderock in the 2018 ONR Summer Faculty Research Program. The Office of Naval Research sponsers the annual 10-week Summer Faculty Research Program to provide faculty members from US institutions to participate in reseach with their professional colleagues at U.S. Navy laboratories. March 5, 2018: Dr. Kee Moon, along with Dr. Guadalupe Ayala (Health & Human Services), Dr. Jose Castillo (Computational Science Research Center), Dr. Morteza Mehrabadi (Engineering) and Dr. Stanley Maloy (Graduate & Research Affairs) were awarded a $1.8 million grant from the National Institute on Minority Health and Health Disparities Research. March 3, 2018: Sophia Stepp (Mechanical Undergraduate) and Sophia Do (Bioengineering Graduate) were awarded the President's Award at the 2018 Student Research Symposium, taking place on March 2nd-March 3rd at the Conrad Prebys Aztec Student Union. Both work in the Experimental Mechanics Lab under the supervision of Dr. George Youssef. March 3, 2018: Vi Vu, a Mechanical and Aerospace Graduate Student, received the Women in Engineering Award, sponsered by Satish Sharma at the 2018 SRS. Vi Vu works under the supervision of Dr. Karen May-Newman. 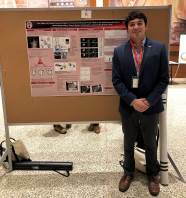 March 3, 2018: Nikolas Marquez-Maya, along with lab mates Ricardo Montes and Saniya Salim, presented their research conducted through the Cardiovascular Bioengineering Laboratory, directed by Dr. Karen May-Newman. 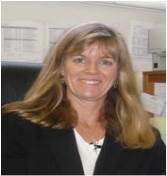 February 1, 2018: Dr. May-Newman was selected by the San Diego County Engineering Council (SDCEC) as Engineering Educator of the Year and the winner of the prestitgious Outstanding Engineering Educator Award for 2017. 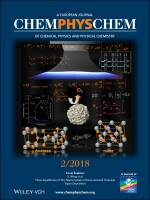 February 1, 2018: Dr. Camacho contributed to a publication that was featured as a "Very Important Paper" on the cover of the ChemPhysChem journal. The work is entitled, "Phase Equilibrium of TiO2 Nanocrystals in Flame-Assisted Chemical Vapor Deposition". January 22, 2018: Dr. Moon received a $58,900 grant from Sejong University to implant an international engineering program for Sejong University, South Korea over a period of two weeks in the summer here at SDSU. January 16, 2018: The Engineering & Interdisciplinary Sciences Complex Dedication and Open House took place on January 16, 2018. Many SDSU donors, stakeholders, faculty, staff, students and even Mayor Kevin Faulconer were in attendance. January 13, 2018: Team FOAM, which consisted of Nathan Reed (MSME Student), Scott Newacheck (Ph.D. student) and Dr. George Youssef (Assistant Professor), who worked collaboratively for over 10 weeks on interviweing end-users, domain experts, and professionals in the area of orthotics and foam manufacturers. The team presented their findings and experience during the 30th Annual CSU Biotechnology Symposium and won the Judges Special Recognition Award. January 11, 2018: Dr. Eugene Olevsky was granted a $358,735 award, over three years, in order to conduct research for the MSI STEM Research & Development Consortium. Along with the award, San Diego State University has become a member of the US Department of the Army MSI STEM Research & Development Consortium.